Meredith Shilling specializes in large project teams for hospitals worldwide and offers a national and international perspective on healthcare. Her particular focus is on acute care and intensive care units. She is passionate about redefining the role and impacts of the built environment and has applied this passion and her expertise to a broad variety of projects across a multitude of scales. The scales range from specialty facilities with complicated multi-phased projects to medical cities. 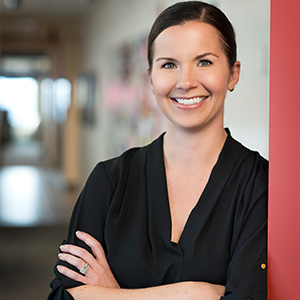 Meredith has a comprehensive understanding of the special requirements of healthcare projects and her design abilities plus an enthusiasm for accomplishing client goals are proven assets for project success. She finds great satisfaction in interacting with users, identifying their goals and guiding principles and translating those into efficient and innovative plans and supportive, healing environments.